I held out a smidgen of hope for an ending that didn’t happen. It was expected, but a part of me really, really, really, really, really didn’t want that to happen. If you don’t want to know the end—you’ve been warned—don’t read on. Kiyama finds Rei crying behind a counter at Charlotte’s. 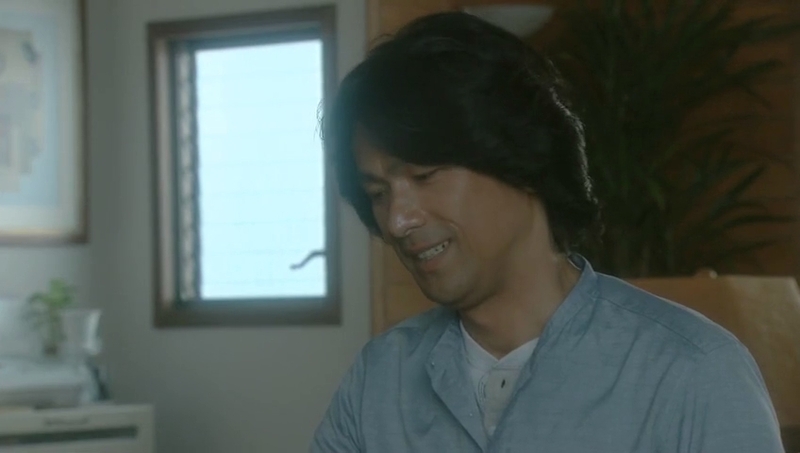 She tells him she’s Ayukawa’s daughter and he tells her that her newly found father is in critical condition. They rush to the hospital, but when they get there and Kiyama tries to hand her the apple charm, Rei backs off and insists he’s not her father. She runs out of the room determined never to see Ayukawa ever again. Kiyama takes her home where Yoko embraces her and insists that no matter what, Rei is Tanizaki Keisuke’s daughter. The next morning Kiyama waits for Rei outside of Charlotte’s as he was worried about her. Rei responds that no matter what she’d still come to work. I expected a big lecture, but Kiyama did not give her one. 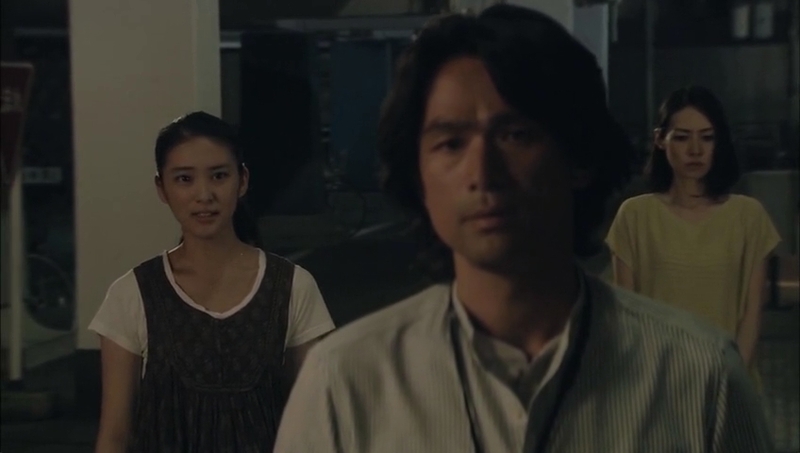 He’s respecting her decision to stay away from Ayukawa. Although…I am upset that her decision was to try to completely forget him. 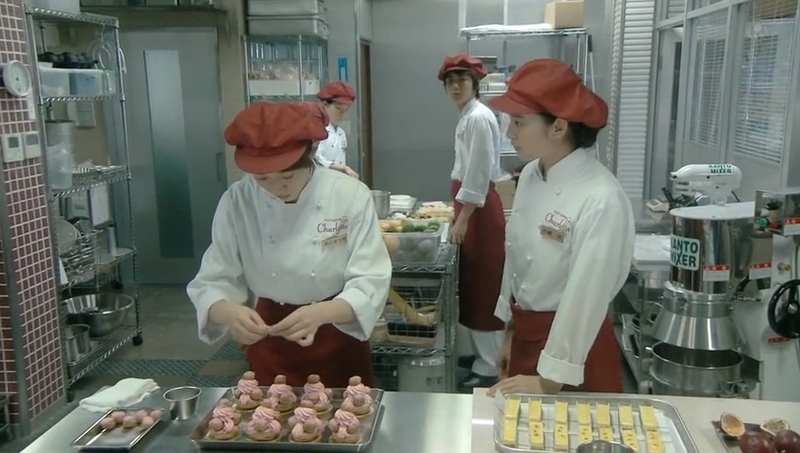 Rei goes about her work as usual as does Igawa who still insists that it is Rei who should be going to France, not her. Kataoka tells Kiyama that she still needs time to think about his proposal. She needs to talk with her deceased husband’s family as well. Naoto, however, would be ecstatic if Kiyama were to become his real father. Meanwhile Yoko goes to help Natsume leave the hospital. She reveals Rei’s test results and Natsume promises that even in Hokkaido, he will always be there to help his daughter and granddaughters. That was his wife’s last gift to him so neither of them had to be alone anymore. Rei’s family register comes in and it’s exciting news for the ward office workers who were with her every step of the journey. While it’s a cause for joy, it’s also a cause for pain since Rei is registered as Ayukawa Rei. I was wrong about Kusano leaving the picture completely. He does make a brief appearance in this episode. He emails Rei and tells her that he is on a journey to find his birth parents. He probably will never be able to locate them or get a register, but he feels that this is a journey he must take. He went back to his hometown and learned that he was wanted and loved by his mother. That doesn’t make him hate his parents any less, but it gives him a bit of comfort and the courage to keep searching. Rei reveals the DNA results and how depressed she is over them. Kusano does his best to comfort her and gives her back her own advice about being in charge of her own future. Okay. NOW Kusano is officially out of the picture. Rei gets a call from Kiyama and heads out to pick up her family register. Although Rei had desperately wanted it, she cannot be happy that she is really Ayukawa’s daughter and that she is also registered under that name. Kiyama tells her that is only temporary as they will quickly start the procedures to get her changed over to the Tanizaki register. 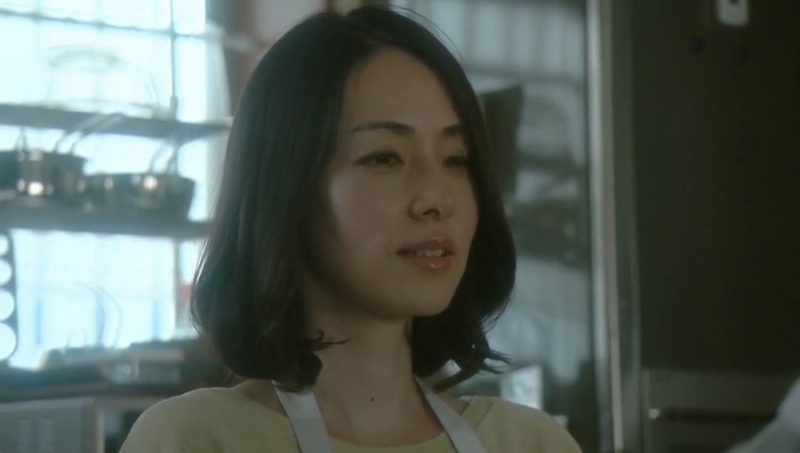 Rei insists that doesn’t change the fact that she’s really Ayukawa’s daughter. 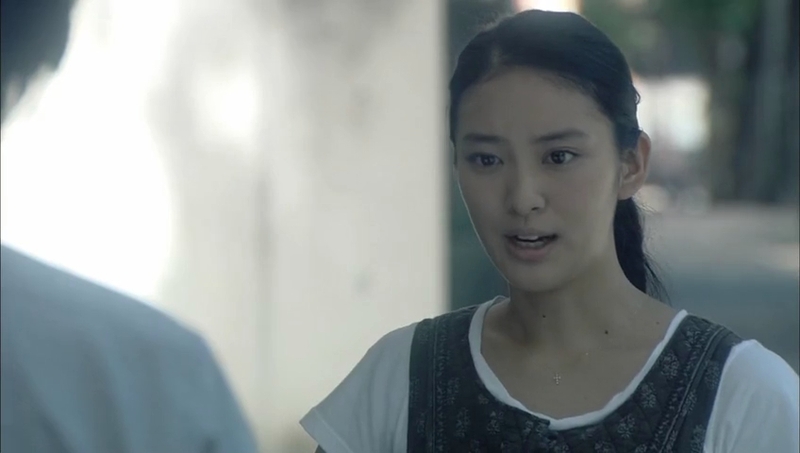 Kiyama walks her out and she complains about him making her realize her birth father’s condition. Kiyama says that it may be hard for her, but he wanted to make sure that she didn’t have any regrets. This way she could determine whether or not she wanted to meet with Ayukawa and get answers from him before it was too late. Rei thanks him for this, but insists again that she will never meet Ayukawa. Kataoka Asami arrives to turn in the marriage registration and Rei gives a shocked and unfeeling congratulations. Asami points this out and believes Rei to be jealous (she is to an extent since we all know she likes Kiyama). Asami urges Rei to say what’s on her mind and Rei turns and lights into Kiyama for going to such lengths. And Kiyama? Yeah, he doesn’t deny this and says that it can still be the starting point for a family. Asami is shocked. Like she really didn’t realize Kiyama got the paper not out of love, but out of duty—he wants Asami and Naoto to be happy. But Rei is right, how can they be happy with the underlying foundation for a family is not love. The disappointed Rei leaves and Asami takes back the marriage register. She’ll keep it for now. Smart woman. At the Tanizaki house, Yoko asks Mrs. Tanizaki what Keisuke would think if he were still alive. 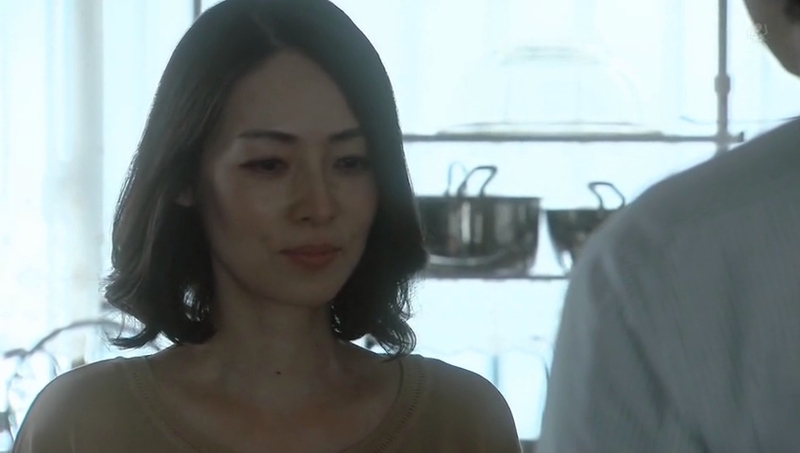 Mrs. Tanizaki smiles and says that no matter what, Keisuke would consider Rei his daughter. 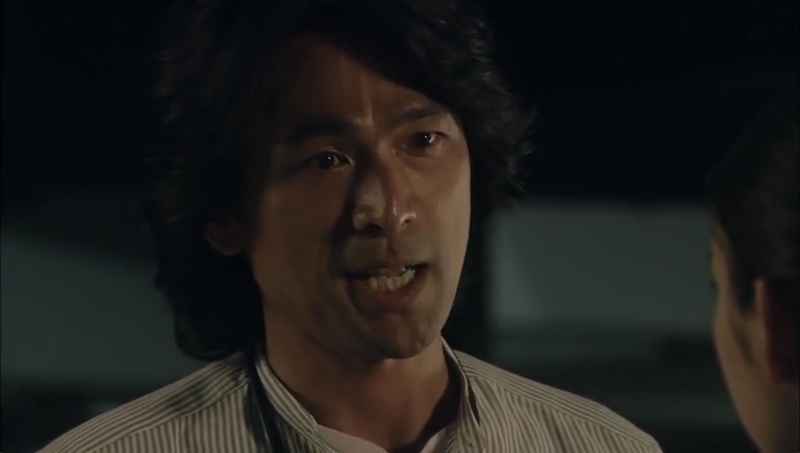 Blood doesn’t change the fact that it was Keisuke’s love that makes him Rei’s father. Thus, to Mrs. Tanizaki, Rei will always be her precious granddaughter. This makes Yoko happy to hear. Rei comes home and sees how disappointed Yoko is to see Ayukawa’s name on the register. She apologizes basically for being that man’s daughter. Yoko embraces Rei and says that to whom it matters to most, Rei is still Keisuke’s daughter and no one else’s. Yoko also reveals that she doesn’t regret her past and Ayukawa’s torment as it gave her Rei for which she is grateful for. Kiyama then calls Rei and lets her know that the hospital called about Ayukawa once more. 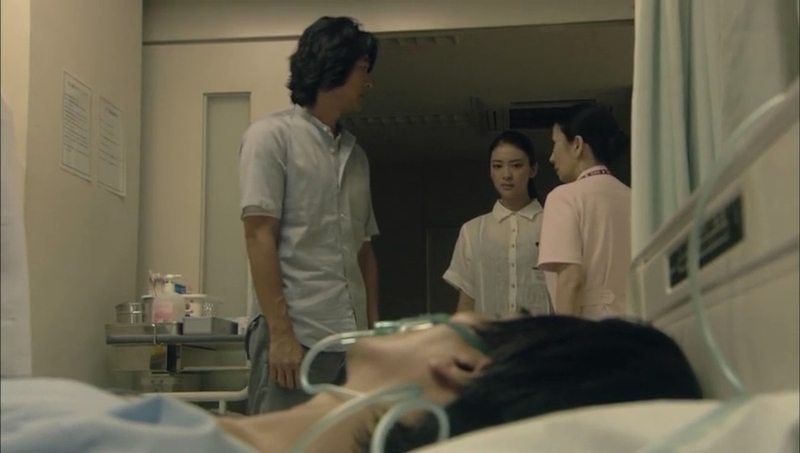 Rei thanks him for letting her know and goes off to the hospital. She’s told it’s his last few moments and so she should say what she wants to. Rei tells him she’s not happy that he’s her real father and says that no matter what, it’s Tanizakai Keisuke who will forever be her father. She states she hates the fact he’s her birth father and she wanted to forget him, but since he’s her beginning, she can’t forget him for the rest of her life. She shows him the register and says for that day only she is Ayukawa Rei. Tomorrow she will start the procedure to become Tanizaki Rei once more. 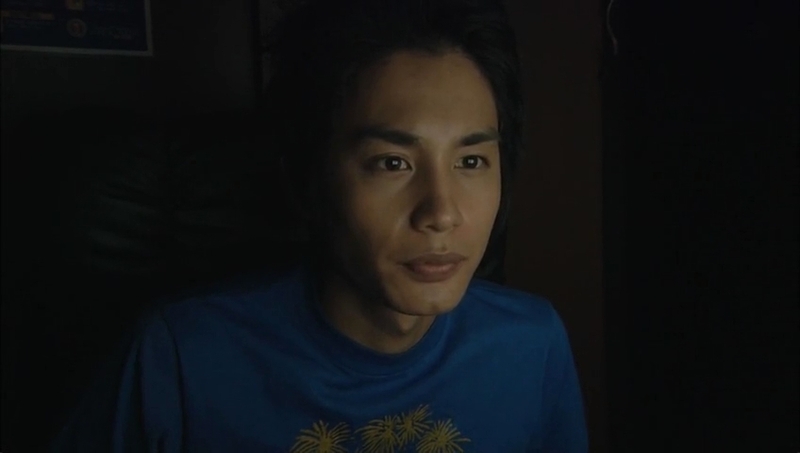 Ayukawa’s eyes open a slit and then he passes on. Rei notices the charm in his hand and takes it. At work the next day, Rei learns that Igawa has given up the chance to study abroad so Rei needs to get her ID card and passport right away. Rei is happy that her dream of studying in France will very soon become a reality. Meanwhile, Kiyama comes home from work to Asami telling him that they need to keep distance between them. Asami realizes that she wants Kiyama to be happy, too. She says that she and Naoto will be sad without him, but they both need to become stronger. She says she will keep the marriage registration for the day that she can meet him once more. Rei goes to get her ID card and learns Kiyama quit. 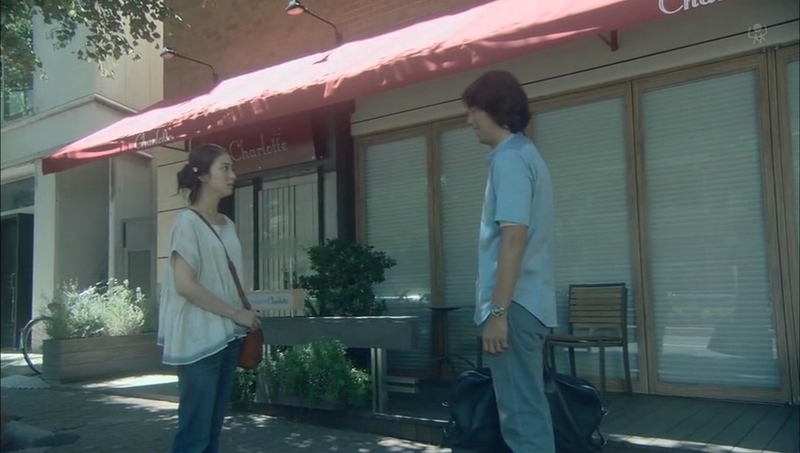 She meets him in front of Charlotte’s where he reveals he and Kataoka broke up. He quit the ward office to do some soul searching of his own and get his life figured out. Both he and Rei talk about how they are able to move forward thanks to one another. 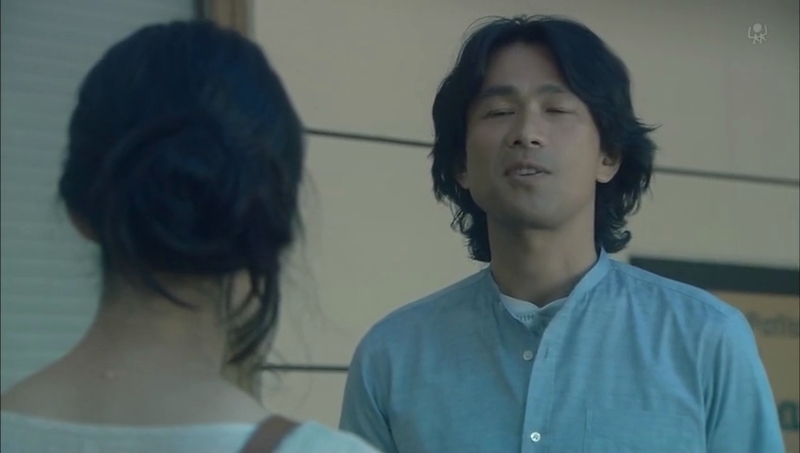 Rei goes to confess to him, but he cuts her off and pats her head—he’s an old man to her right? And that’s it. Seriously. It looks like Kiyama goes to work as a reporter once more and Rei goes off to study in France. And I must say that this show had a lot going for it. 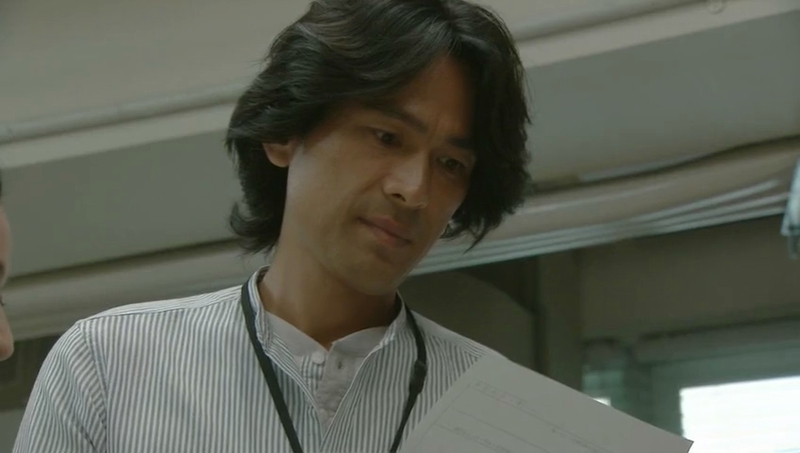 The plot (to start) was original as I have never seen a drama addressing the register problems with Japan’s laws before. The main problem came when the writers threw in all the family melodrama and kept having the show go in circles without moving forward. Then they threw in unneeded characters and plot twists that dragged the show down even more. This show ended with such a whimper, it was really anticlimactic and feels horribly unfinished. Looking back at the past 10 episodes makes me wonder what had really happened and was it really necessary. All of this buildup and Ayukawa dies and Rei and Kiyama never really confess their true feelings. Sure, given the ad gap and everything else, there was still a high chance a relationship wouldn’t have succeeded, but still—it ended before it even started. Sigh. Thanks for everyone who stopped by and commented and joined me on this journey. Lol,glad to know I’m not the only one with the same reactions to the ending of the show.It ended too fast.What a waste for all those episodes and still it feels like nothing has been completely resolved.Yeah a few good things happened but still.I really Kiyama AND Rei to end up together.Originally,that”s the only reason I decided to even click on the watch button when I read the synopsis of this drama.I wanted to see the the romance between such a huge age gap couple but in the end it just never happened.I was holding on to my sheets waiting at that moment when she said “To me…” to kiyama hoping he would just grab and kiss her and their feelings for each other would be resolved. :(….I’m so mad @ the script writer for not achieving my dream rei-kiyama moment but all in all though,it showed a real life issues like not being on a family regiter with daily struggles on different parts of life and how family is important. I know. I was intrigued by the family register plot and really wanted to see the May-December romance that this drama touted–which never happened. Sigh. Yes, there was some great moments and this show really did deal with some interesting issues and they didn’t fluff them over. At the same time, really? Where was my romance. I just wondered if Kiyama thought the age gap was too much and that Rei’s life which was already hard would be harder if she finished that thought and they tried anything. Sigh. The two even had great, convincing chemistry and I didn’t mind the slow development of their relationship when I thought that at least we’d get to have some moment between them. 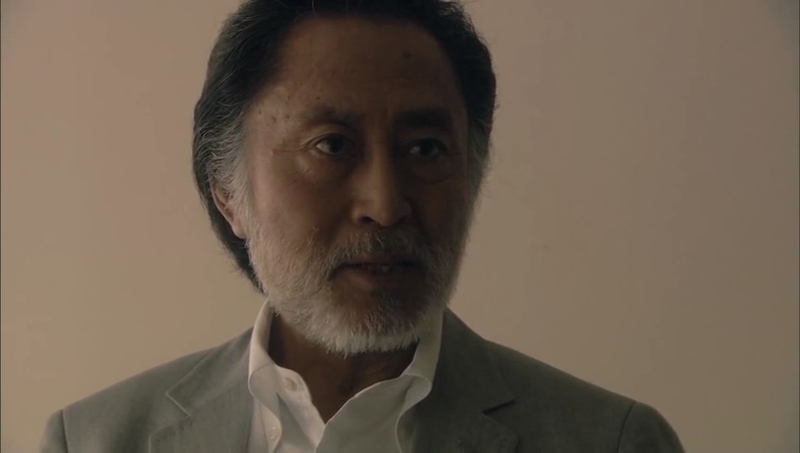 Japanese dramas offer a window into their culture now and in the past. I like the hint of exotic style. All this truly makes jdoramas very different from the culturally driven, conservative and silly, kdramas. The ending of Iki Mo D K was expected in keeping with many of the past jdoramas. Some jdoramas appear to be social problem documentaries. Are the producers and writers afraid to state final conclusions? I watched a jdorama from 1999 about a free, single woman working in a French design store who falls for a single, younger man. In the last episode she quits her job for him, but he returns to his traditional, conservative family and the wife they chose for him. So she is still happy to be free. An extremely dissappointing ending after a fair amount of angst. I won’t stop watching jdoramas, but I probably will not see the weird endings. Thanks for your thoughtful comments. I have no problems with dramas taking on social problems, but agree that they can end rather unsatisfactorily. It could be they are afraid to take a firm stance, but it can ruin otherwise great dramas with the wishywashy feebleness of a lack of commitment to any side of the issues presented.